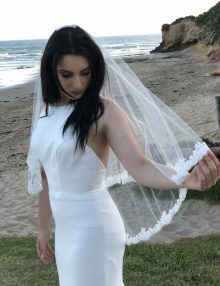 Carolyn is an absolutely stunning veil! 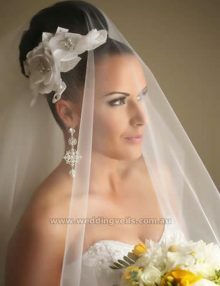 Beautiful veil to wear with a lace wedding dress. 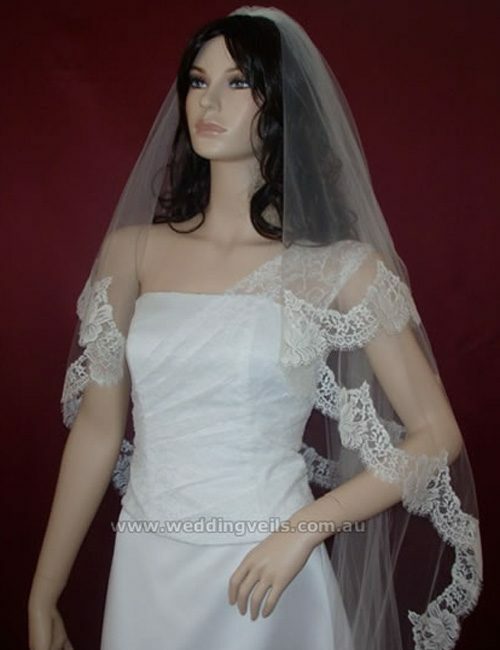 This cascading mantilla veil features French chantilly lace which is beautiful and timeless. 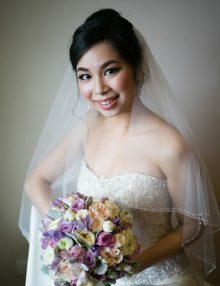 Has a blusher which can be worn over the face. 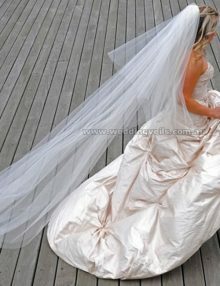 The blusher (top tier) is waist length (80cm), with bottom tier starting from chapel length (210cm), and available in longer lengths. Has a comb at the top for easy placement in your hair. 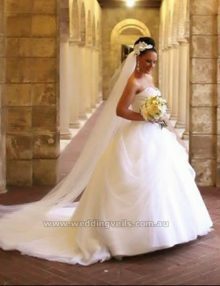 It features French chantilly lace edging (uncorded ) which is beautiful and soft. 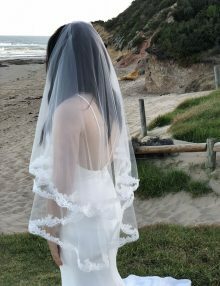 This veil has subtle fullness. 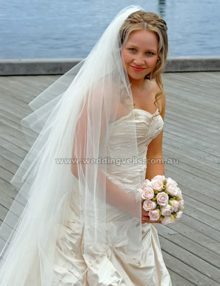 For a fuller version of this veil, have a look at Chantelle Mantilla veil. 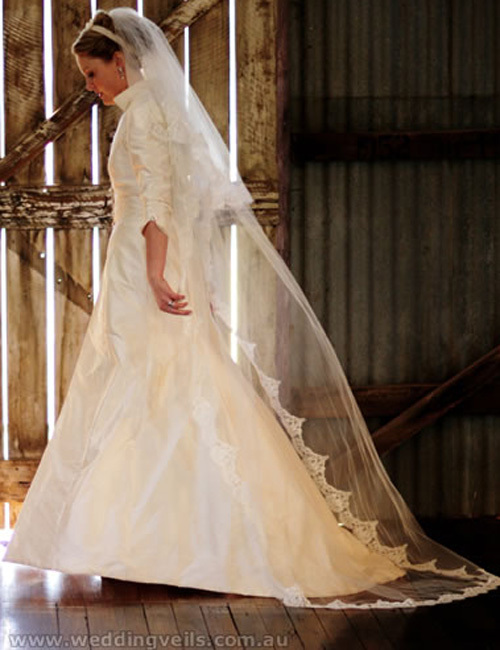 Chapel length (240cm) veil is shown. 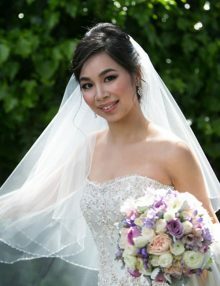 This veil is worn by Maria K and Renee (in Supersoft tulle – custom order).